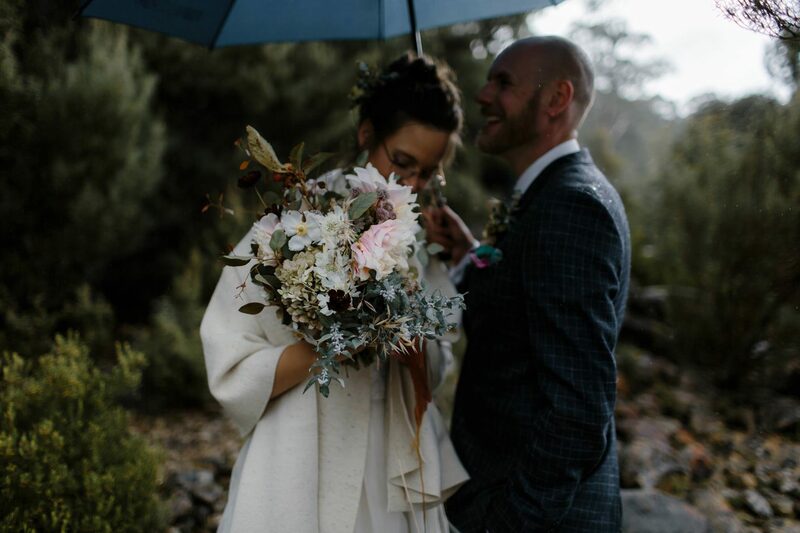 I told you over the last few weeks, how we decided to elope in Tasmania, how we found our perfect wedding location, my wedding gown and so many other things… Today I’d like to talk about our amazing florist for our Tasmanian elopement. I had been following Eliza from Primula Floral Styling for quite some time on her Instagram already and right from when I stumbled across her work, I was absolutely fascinated by the way she created floral arrangements, how she saw the beauty in the little things and how she told a story with her arrangements. 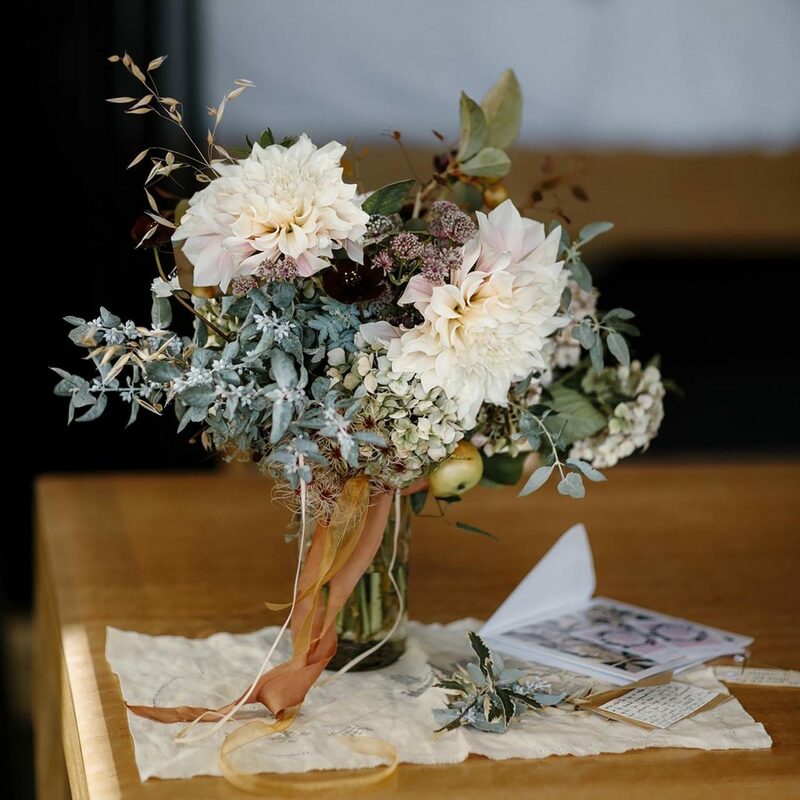 For my bouquet, I only had a few key elements, that I really cared about: I wanted the flowers to be sourced locally and seasonally, as I didn’t like the idea of flying flowers in or using flowers that were not in season and had to be grown with lots of ecological impact. I also wanted an open bouquet, that was shaped in a creative way and non-traditional and I did not want to use any bright colours. So when I started looking for a florist, I did the same thing I did with all our other wedding vendors: I was on the hunt for a professional, who’s work I admired. Because if you work with a professional in their field, you can simply trust them to do a good job and you don’t need to be overly controlling. An artist – and I definitely consider florists artist – always works best if they are left in creative freedom…and so do all creative people. 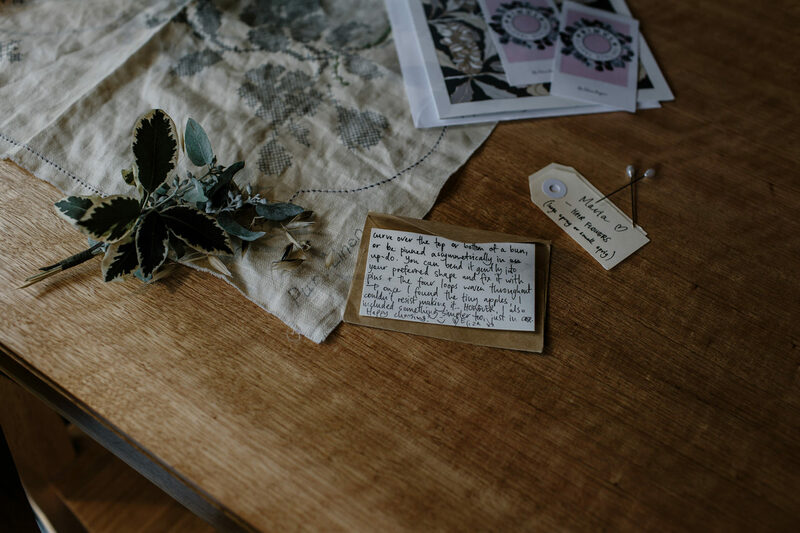 And is if it was meant to be…Eliza had just moved to Tasmania when we started planning our wedding, isn’t that amazing!? And what can I say!? Eliza did an amazing job…she created an absolute dreamy wedding bouquet for me and I could not have been happier with the result! 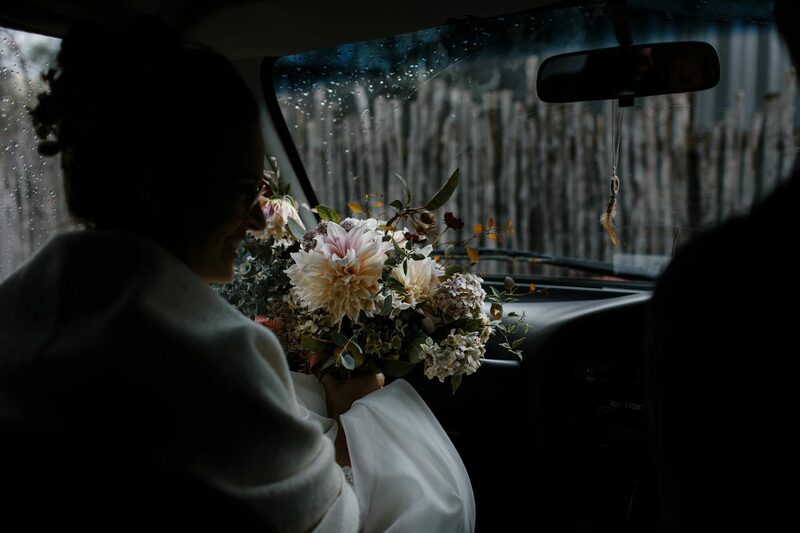 Merren, our wedding celebrant, and Eliza both live in Hobart and so we Merren was so kind to bring the flowers up to Pumphouse Point on our wedding day so we saved on a second car driving up all the way. When she arrived, she carried a big box filled with floral bauty up the stairs to our hotel room… In this box was happiness for me: An absolutely amazing bridal bouquet, Ingo’s boutonnière and an beautiful floral headpiece to put next to my messy bun…and next to all this, there was a beautiful linen cloth to dry my bridal bouquet and a hand written note with the loveliest words… Needless to say, that I was overly happy! 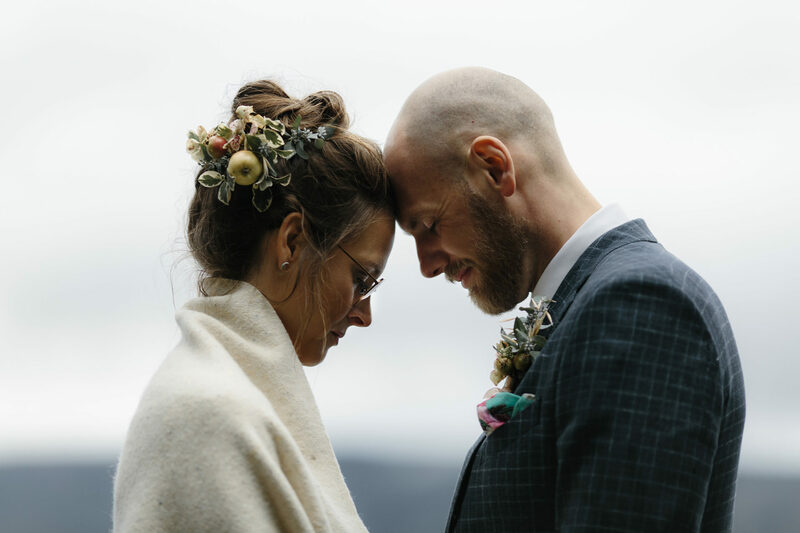 Eliza’s beautiful headpiece creation saved my bridal hair-do…I was not quite happy with what the hair stylist had done for me and putting the beautiful little headpiece, made out of eukalypt, tiny apples and other greens, into my hair just made it all look so much better! I love how she works with local plants and florals and thinks outside the box. Her responsible approach to create our wedding flowers really made my heart jump and I wish I could work with her more often! Plus, Eliza is a wonderful human, too!